Blade Alignment is CRITICAL to your success on the ice! When it comes to optimizing your performance on the ice, nothing is more important than blade alignment for both hockey players and figure skaters. We have all seen the person out on the ice that looks like they are “skating on their ankles” or “ankle skating”, and most people assume that they must have weak ankles. This is not the case. Remember, the ankle is a hinge joint, and only moves front to back. The problem is that their skates need to be properly aligned for their particular bone structure/stance/posture. What is a blade alignment? 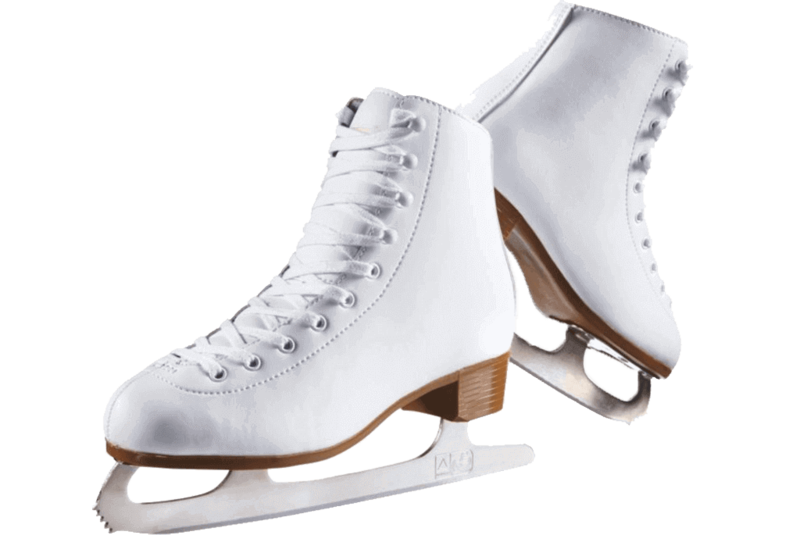 Blade alignment means the positioning of a skate blade on a boot, in such a manner that it is relative to the foot and the biomechanics of the body of the skater. 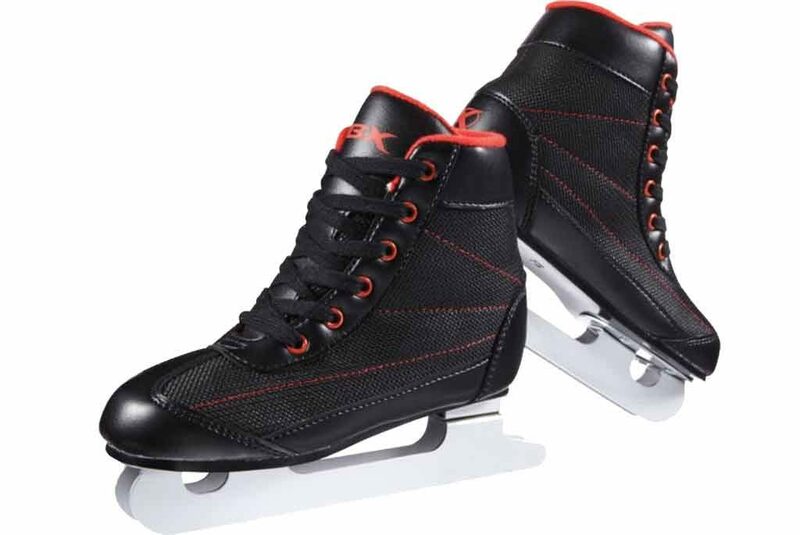 In short, it is the positioning of the blade on the boot so that the athletes center of gravity is directly over the blade, correcting pronation, supination or leg discrepancies that negatively affect a skater’s performance on the ice. When a skate is properly aligned for a skater, the blades will track straight and “true” for a skater, sort of like having your wheels aligned and balanced on a car. Did you know that blade alignment is not a new technique? Figure skaters have been aligning their blades for over 100 years, and this is where we first started aligning blades over 20 years ago. We have just simply applied some of the same techniques we use when mounting our figure skates to properly align blades on hockey skates. Through our extensive experience, we have found that at least 90% of figure skaters and hockey players can benefit from having a blade alignment done, due to the fact that most people in the world pronate or supinate. Very few people are “neutral” (neither pronate or supinate). 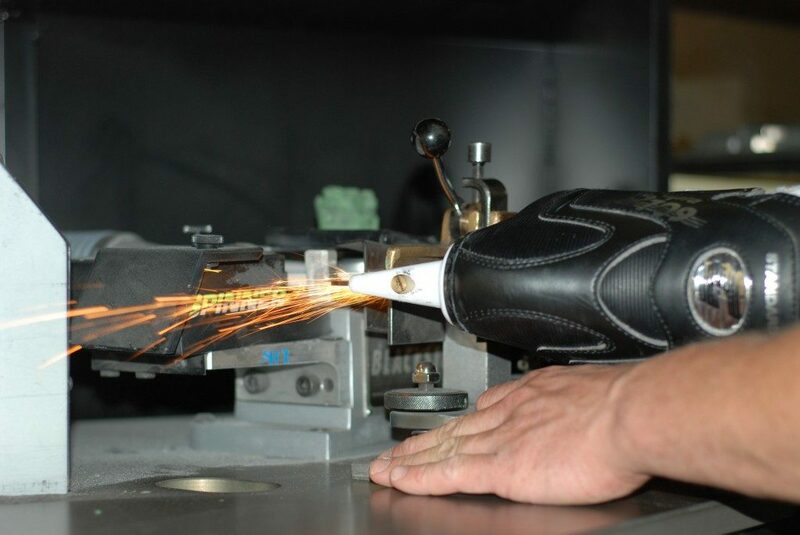 With that being the case, a blade mounted down the middle of the outsole on a skate is not going to be in the correct position for most skaters. Incorrect blade alignment does more than just hamper performance. It can cause physical problems like knee strain, lower back pain, hip pain, and groin injury, as well as cause significant discomfort to a skaters feet. We’ve seen these kinds of injuries and discomforts dramatically improve just by aligning the blades properly! Poor blade alignment is often the reason for frequent skate sharpening, weak crossovers in one or both directions, a short or choppy stride and pre-mature breakdown of boots. Proper alignment gives you quick, efficient control of both inside and outside edges… that translates to significant improvement in performance on the ice including improved balance and stability, sharper turns and increased agility, faster starts, injury reduction, increased speed, a more powerful, longer stride and less fatigue. Over the years, we have worked on and aligned blades for all levels of skaters and players, from the beginner, to the Olympic gold medalist and Stanley Cup Champion. Feel the difference a properly aligned skate can make for you or your child by visiting us and meeting with one of our skate specialists.